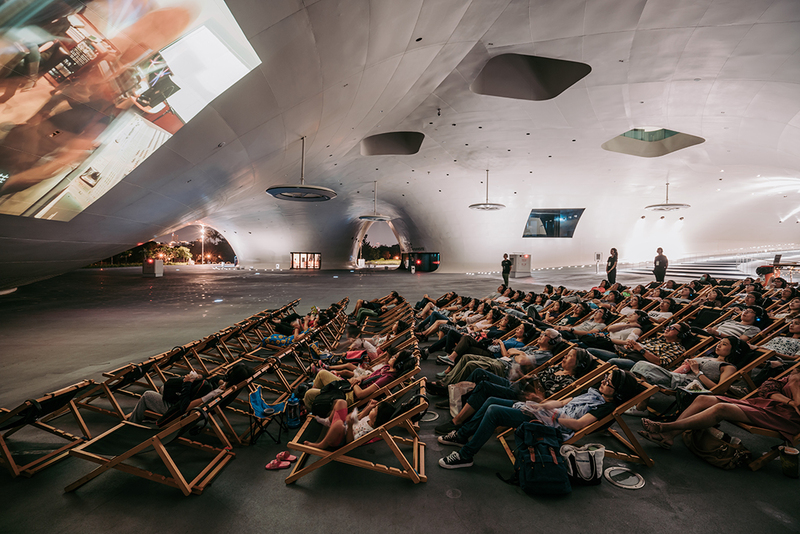 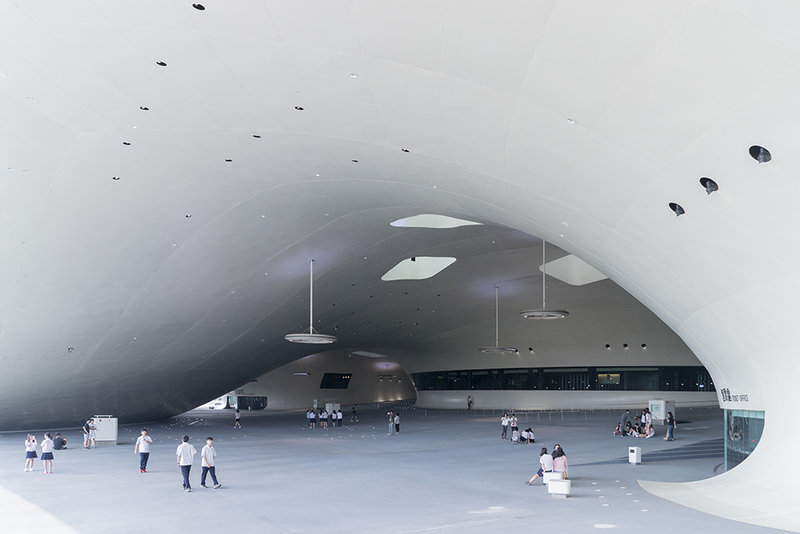 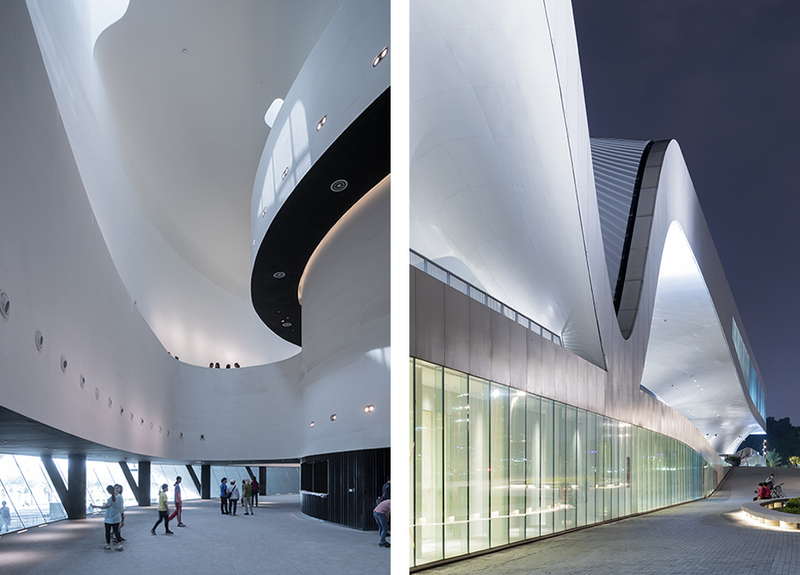 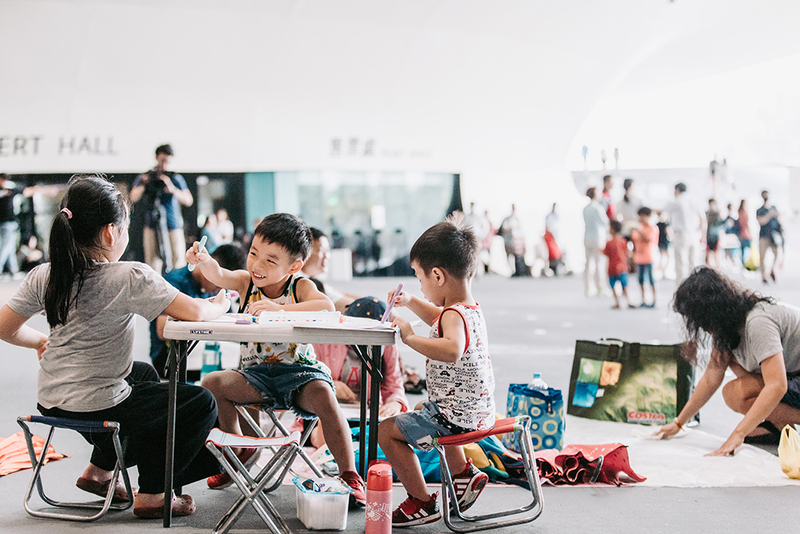 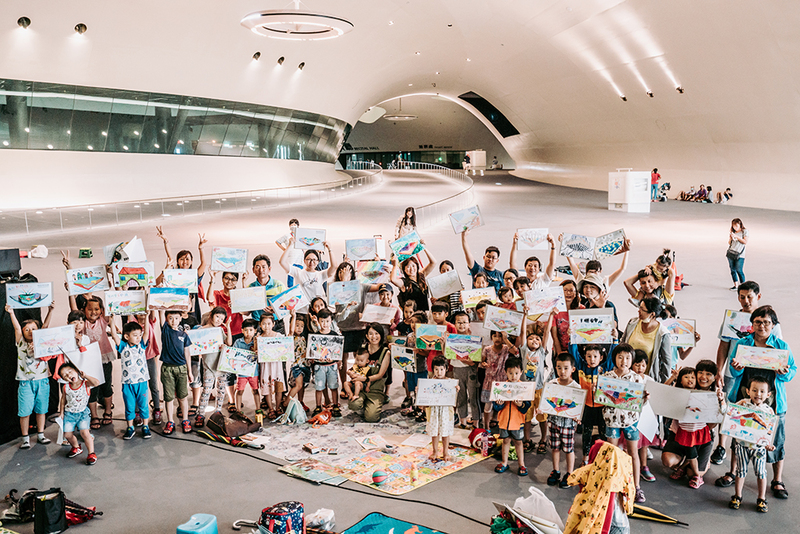 The National Kaohsiung Centre for the Arts symbolizes the transformation of Kaohsiung, once a major international harbour, into a modern city with a rich cultural climate. 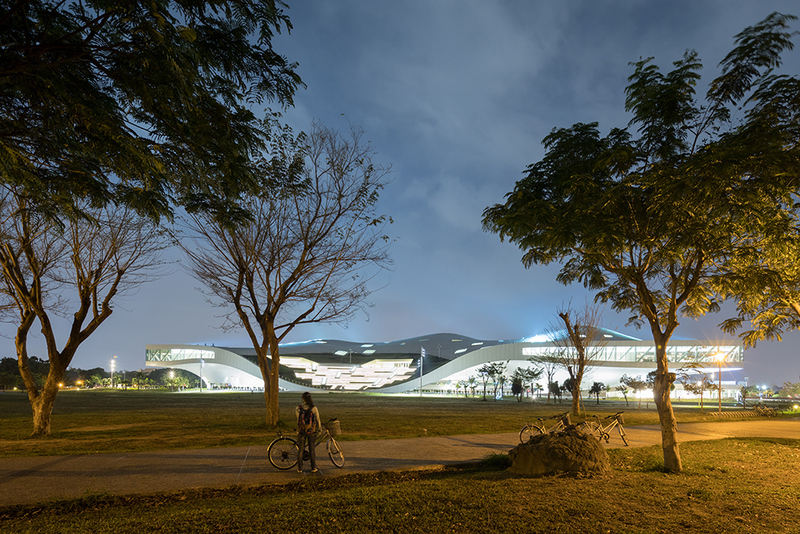 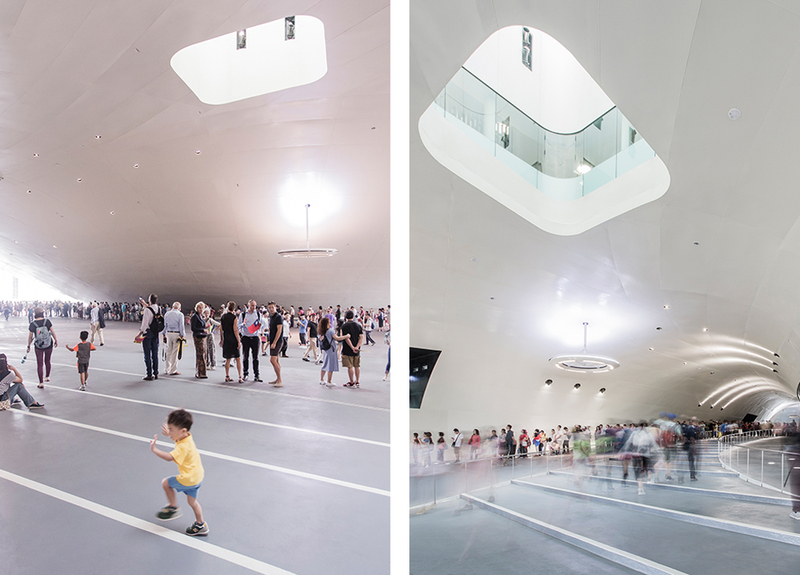 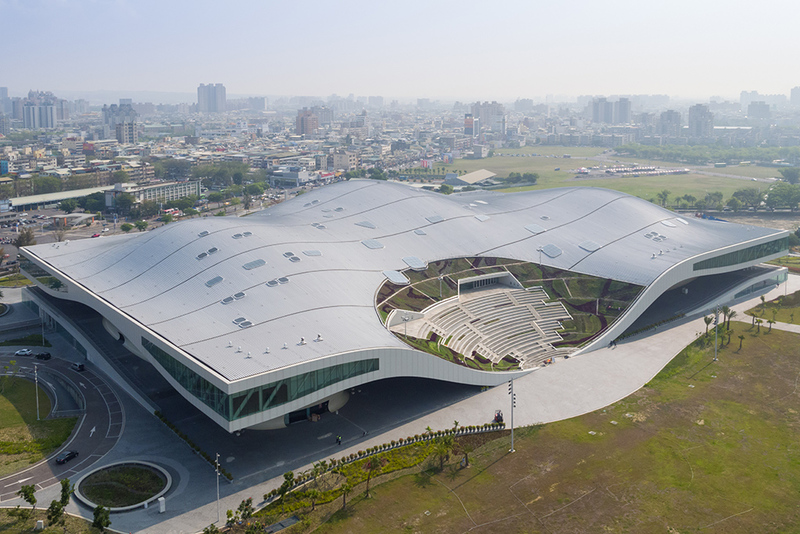 Mecanoo designed the National Kaohsiung Centre for the Arts, located on a former military terrain, as an integral part of the adjacent subtropical park to have a positive social impact on the residents of Kaohsiung, whose population counts almost 3 million. 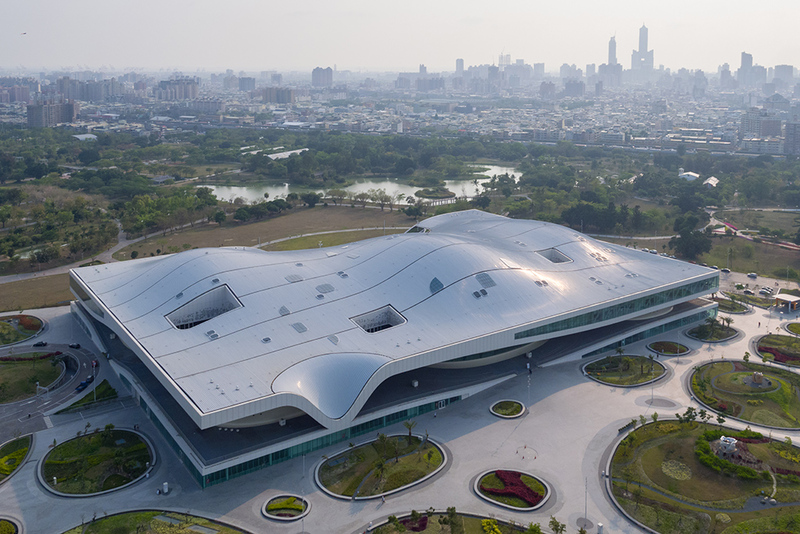 Inspired by the local Banyan trees with their iconic crowns, the vast, undulating structure is composed of a skin and roof, and connects an extensive range of functions. 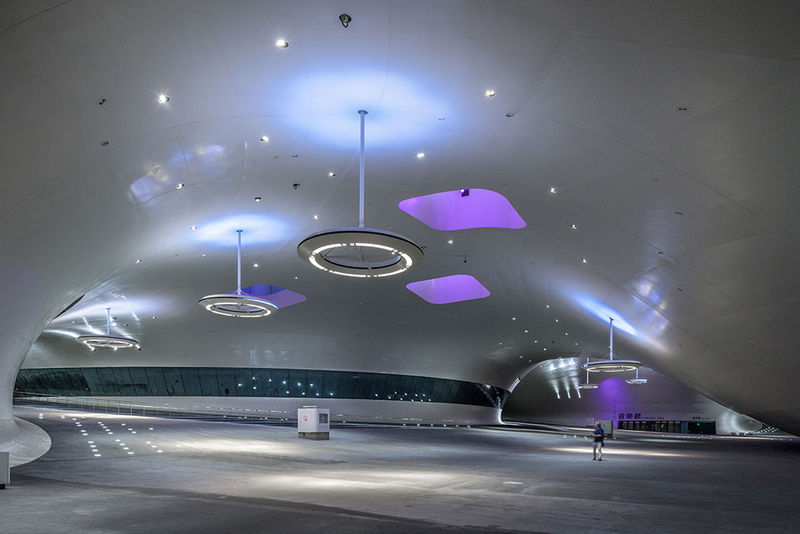 The curved steel structure was built in cooperation between a local and a Dutch shipbuilder. 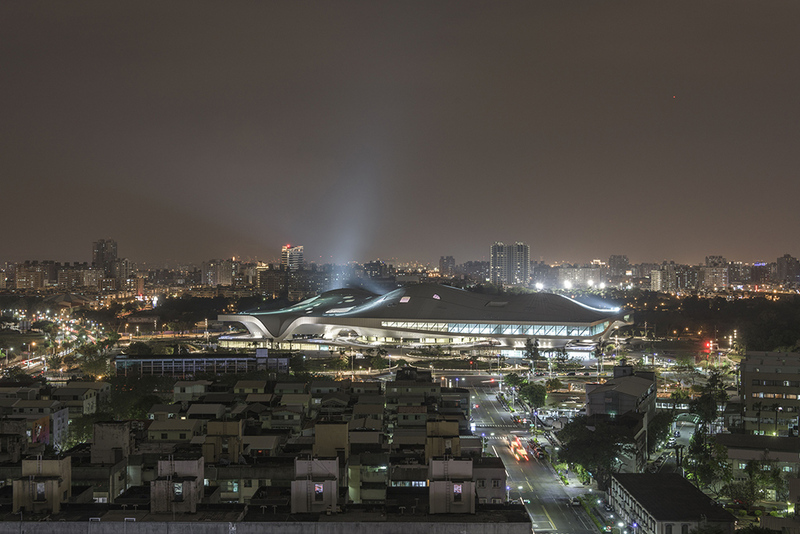 Underneath this roof is Banyan Plaza, a generous, sheltered public space. 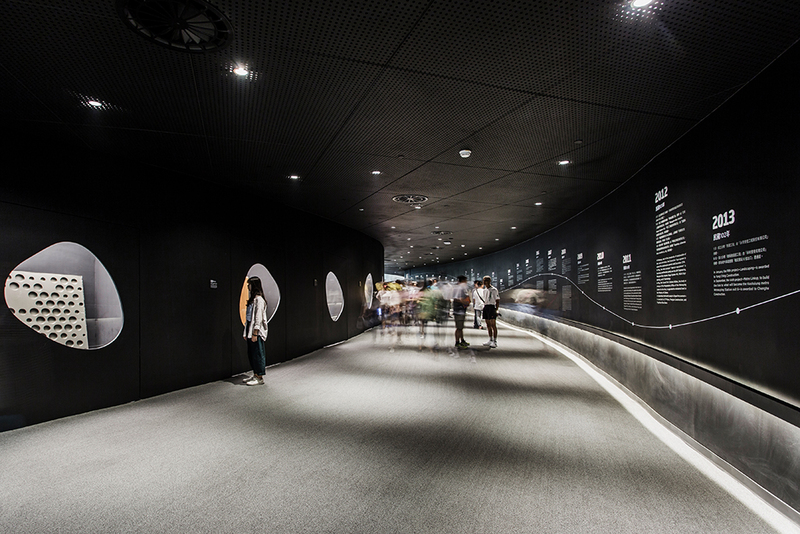 Residents can wander through here day and night, practice Tai Chi or stage street performances. 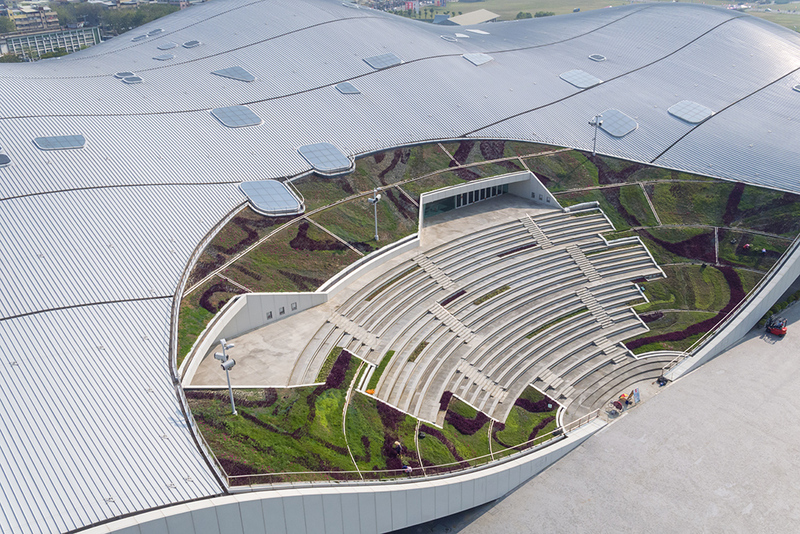 An open-air theatre nestles on the roof where the structure curves to the ground, with the surrounding park forming the stage. 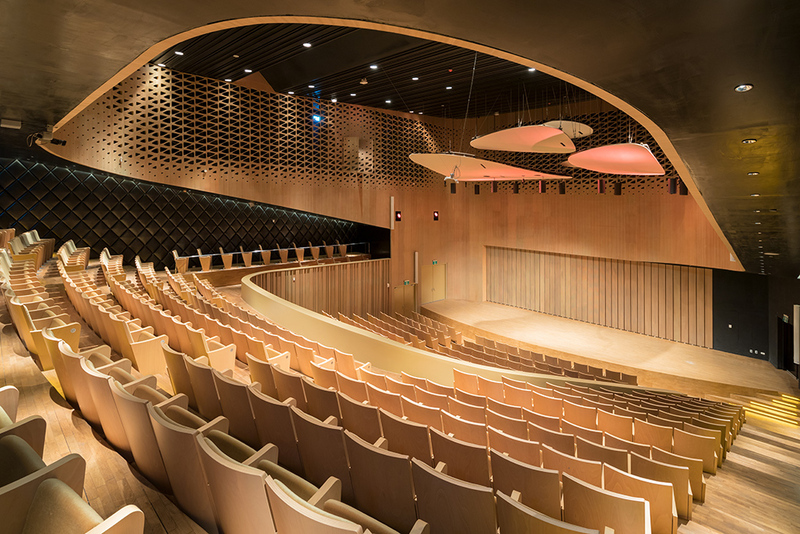 The seamless flow between interior and exterior creates opportunities for crossovers between formal and informal performances. 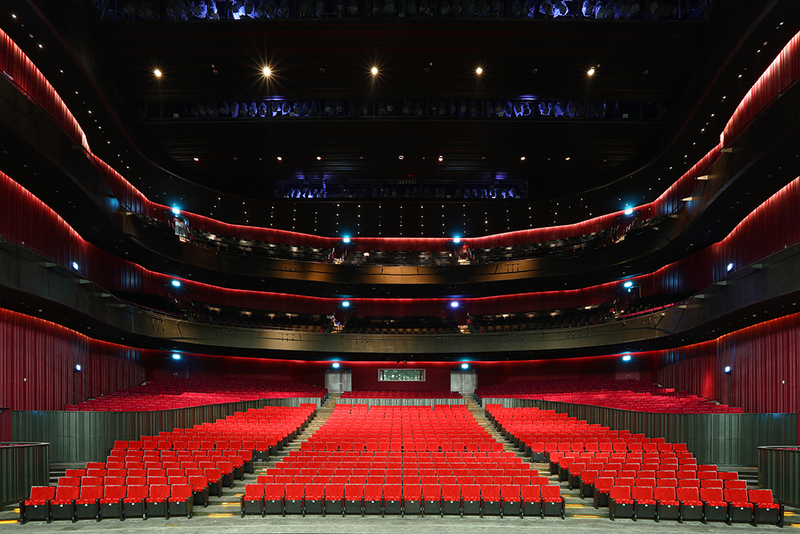 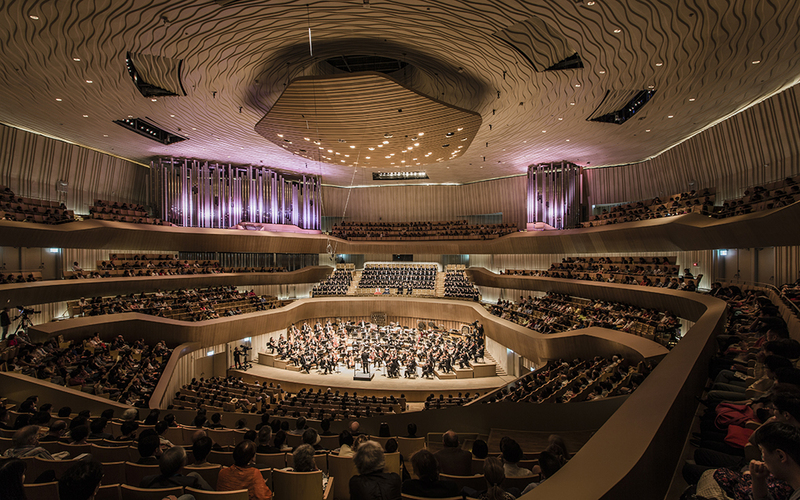 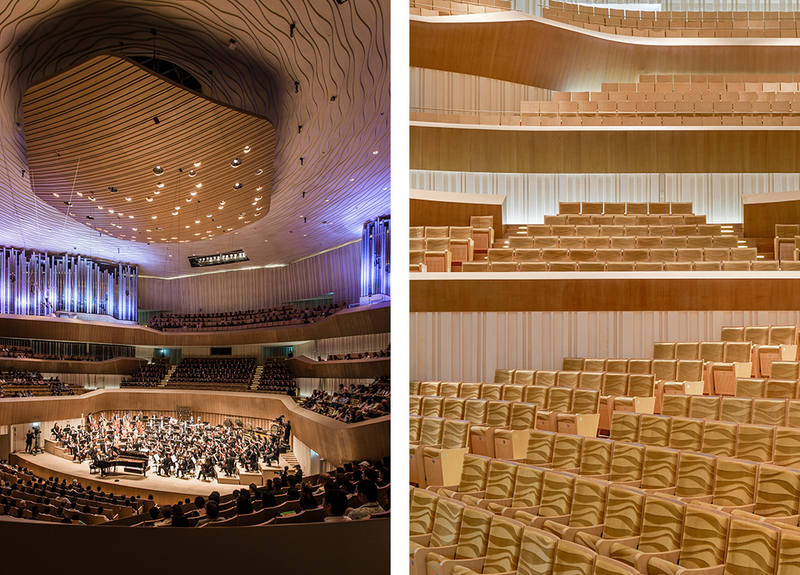 Different theatres such as the 1981-seat Concert Hall and 2236-seat Opera House are located in the five ‘legs’ of the building. 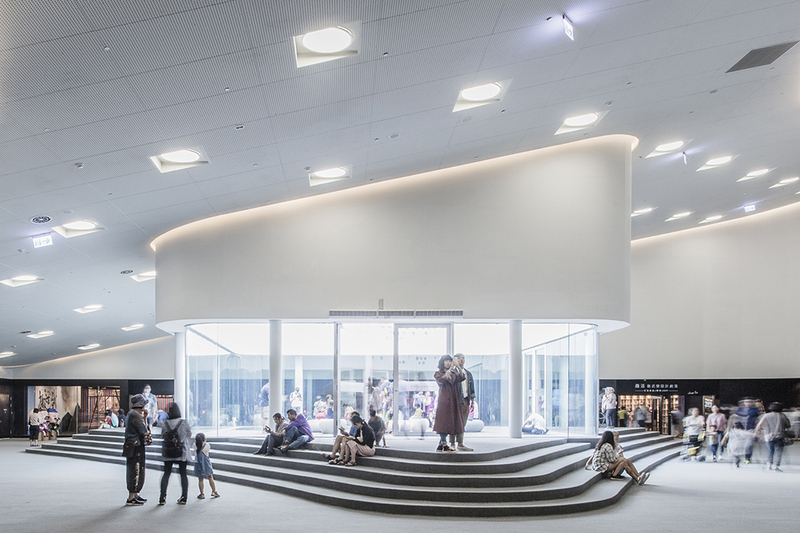 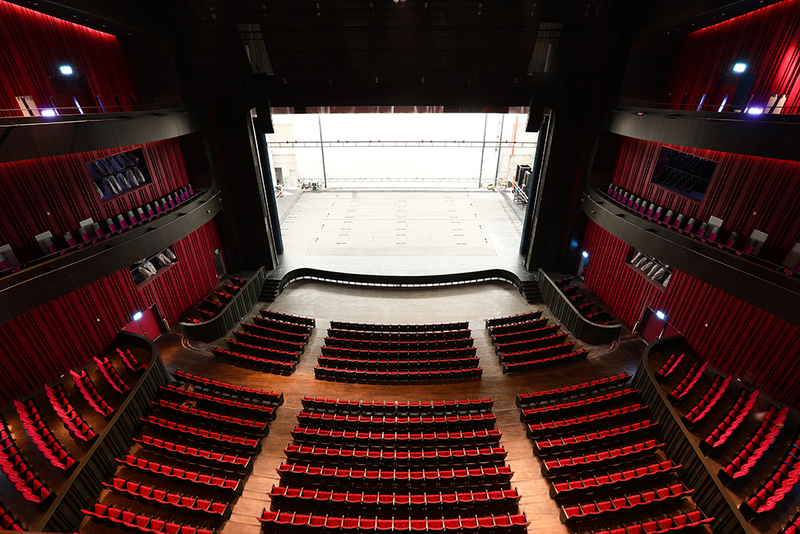 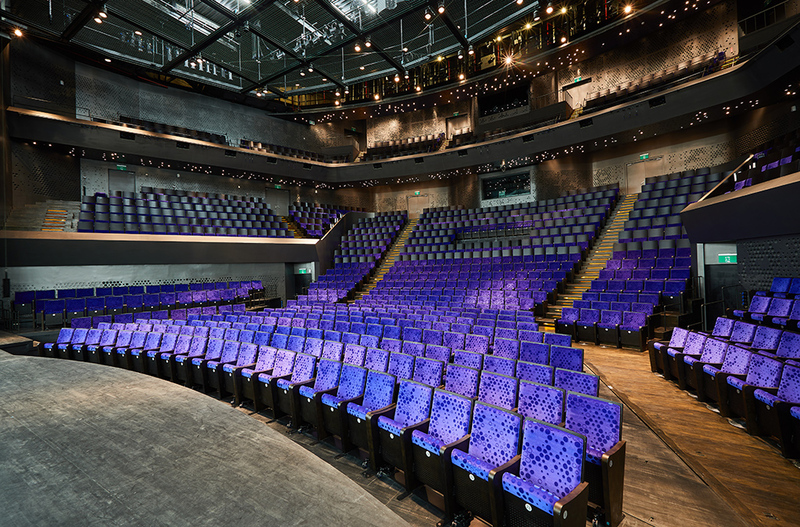 They connect with one another via foyers in the roof and an underground service floor which houses the backstage area of each theatre.